The value of a rare stamp is determined by several factors. Rarity is the first criterion for value, followed by the presence of some type of printing error or other unique feature. A stamp’s value may increase if it has some connection to an historical event or was used for a particular purpose. Novice stamp collectors may erroneously assume that because a stamp is old it is valuable. However there are many stamps that are quite old but are neither rare nor particularly noteworthy. Such stamps will not have a high value despite their age. All are extremely rare and most of them contain some type of printing error. The value of the stamps can only be judged by their most recent sale, which may have been decades ago. The wealthy collectors who are fortunate enough to own these treasures seldom part with them. When one does appear on the open market it is probably because the owner has died and his heirs do not share his passion for philately. In 1855 Sweden issued eight skillings stamps in yellow and three skilling stamps in green (a skilling was a Swedish monetary unit no longer in use). However a printing error caused some three skilling stamps to be issued in yellow. The number of three skilling stamps printed with this error is unknown. In 1886 a young boy found a copy of a Treskilling Yellow in his grandparents attic, to this day it is the only known copy to exist. In 1996 the Treskilling yellow was sold at auction for $2.3 million. The Post Office Mauritius, also called the “Blue Mauritius”, was printed in the British colony of Mauritius in 1847. The printer was commissioned to print the words “Post Paid” on the stamp. However the printer erroneously printed the words “Post Office” on the first batch of stamps. Approximately 200 “Post Office” stamps were produced before the mistake was corrected, there are 26 known surviving examples. The Post Office Mauritius is so prized among collectors that there have been pulp fiction novels, children’s books, and even a Broadway play written about it. It is difficult to be precise about the value of the Post Office Mauritius because of it’s rarity, fame, and desirability among collectors. However estimates range from $600,000 to $1.5 million depending upon the condition of the stamp. In 1993 a unique envelope, known as the “Bordeaux Cover”, with two Post Office Mauritius stamps attached to it was sold at an auction for $3.8 million. In May of 1918 The United States Post Office began regular air-mail service. The cost to send a letter by air-mail was set at 24 cents, whereas regular mail cost only 3 cents at the time. A new 24 cent stamp was commissioned featuring a Curtiss Jenny biplane, the plane chosen by the post office for it’s new air service. At that time in order to produce stamps each sheet of stamps had to be put though the printing press by hand. Since there were two colors on the Jenny stamp, each sheet of 100 stamps had to be put though the press twice. One sheet of stamps was put through the press upside down during one of it’s two pressings, resulting in 100 stamps with the airplane upside down. Thus was born the famous Inverted Jenny stamp. Inverted Jenny stamps have sold for $600,000 to $970,000 depending on the condition of the stamp. A mint condition block of four stamps was sold in 2005 for $2.97 million. Benjamin Franklin has been honored on many United States stamps, but none of them as rare and as valuable as the Franklin Z-Grill from 1868. The phrase “Z-Grill” refers to a geometric pattern that was embossed on the stamp. The purpose of this was to allow the ink from the postmark to be absorbed into the stamp so that the stamp could not be reused. However the Z-Grill method was impractical and was soon abandoned. There are only two known copies of the Franklin Z-Grill. One copy is in the New York City Public Library. The other copy was bought at an auction in 1998 for $935,000. However in 2005 the buyer traded the Franklin Z-Grill for the aforementioned block of four Inverted Jenny Stamps which had previously been bought for $2.97 million. The British Guiana 1 Cent Magenta, also referred to as the “Black on Magenta”, may very well be the world’s most valuable stamp. Only one copy is known to exist and it was last sold in 1980 for $935,000. However in 1997 the person who bought the stamp was convicted of third degree murder and sentenced to 13 to 30 years in prison. Therefore it might be a very long time before the Black on Magenta reappears on the market (the stamp is now kept in a vault by the owner’s trustees). In 1856 the colony of British Guiana (now Guyana) used stamps that were printed in England and shipped to the colony. However after an expected shipment of stamps failed to arrive from England the colony was faced with a severe shortage of stamps. As an emergency measure, the Postmaster of British Guiana commissioned the issuance of stamps to be printed by the local newspaper printer. The stamp that was produced was of very poor quality since the printer had no experience with stamps and did not possess the high quality of paper normally used for British stamps. Thus in order to avoid forgery, the postmaster ordered that every stamp be initialed by a postal clerk. The sole remaining stamp has the initials “E.D.W”, having been initialed by a clerk named E.D.Wight. Very few stamps were produced and production ended as soon as the shipment of British stamps arrived from England. Stephen Lukas has been a professional technical writer since 1997. He also taught college English and middle school math. Lukas has been writing for Demand Studios since 2009, and has published several articles for eHow and Answerbag. He has a Master of Arts in experimental psychology from New York University, and a Master of Science in software development management from the University of Maryland. 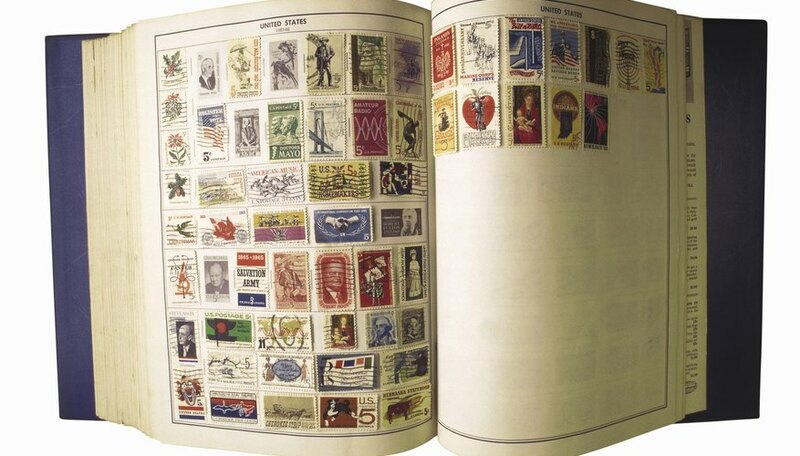 How Much Are Stamp Collections Worth?